ARE VITAMINS A WASTE / BENEFICIAL? Home/Blogs/ARE VITAMINS A WASTE / BENEFICIAL? We’re constantly being told that our busy lives require us to take vitamins in a bid to balance out a lack of sleep and poor diet. But do our bodies really need them? A major British study has recently discovered that vitamin pills have no health benefits and are a waste of money. Researchers from Oxford University tracked 20,000 people over five years. Some were given real vitamins, others got dummy pills – yet there was no difference in the incidence of cancer, heart disease or stroke. So are the pills useless ? Vitamins in our food certainly protect us from illness. A recent study reported in The Lancet found that increasing daily intake of vitamin C from fruit and vegetables by just 50g – two pieces of broccoli or fruit – reduced the risk of death from cardiovascular disease, heart attack and cancer.But this study raises doubts whether vitamins, given in supplement form, can provide any extra benefit. In the Heart Protection Study at Oxford University, researchers tracked 20,000 people. Half were given daily doses of vitamin C, vitamin E and beta carotene for five years, the other half were given dummy pills. Those taking the vitamins had no more protection against heart attack, stroke or cancer than those taking the dummy pills and there was no extra benefit to eye or bone health. The vitamins were absorbed but they did nothing,’ says Dr Jane Armitage of Oxford’s clinical trial services unit. The researchers say this is because the body gets all the vitamins it needs from food. 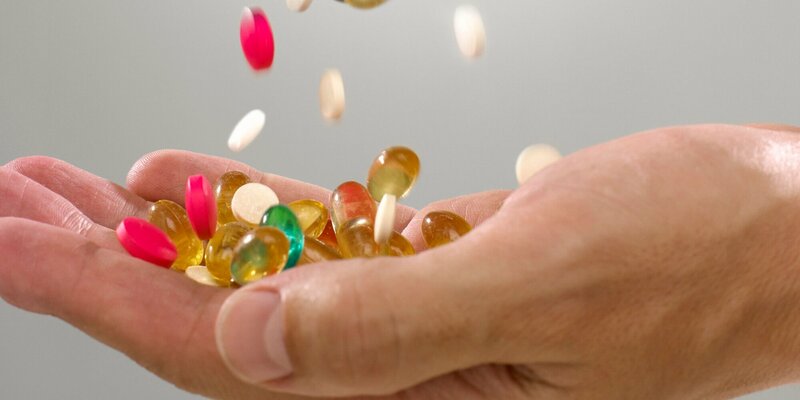 However, Kim Jobst, professor of Integrated Health at Oxford Brookes University, argues that many supplements are synthetic and in forms that cannot be used by the body. Synthetic molecules, even if they have the same formula, can have different structures which aren’t recognised by human biology,’ he says. ‘You’d be better off getting your nutrients from organic fruit and vegetables, rather than from these artificial vitamins. Eric Llewellyn, biochemist at NDS Healthcare, a supplements company specialising in food-grade vitamins, says some supplements could even have a negative effect. Thousands of women take supplementary calcium for protection from osteoporosis, he explains. ‘However, for calcium to enter the bones, it needs to be attached to a phosphate molecule. When the supplement enters the blood, the body takes phosphate out of the bones to stick it to the calcium. The bones end up with less phosphate and no added calcium, so the calcium supplement is actually making the bones weaker. The main argument for using supplements is that we don’t get enough nutrients from food – recommended daily allowances (RDAs) are just measurements of the minimum needed to prevent a physiological deficiency, rather than to maintain optimal health. Nutritionists argue that optimal quantities, which would reduce the risks of key diseases such as cancer, are probably much higher – from twice to ten times the RDA. Obtaining these quantities through food alone, they argue, is almost impossible, now that most food we eat is nutritionally impoverished through intensive farming and processing. Levels of key minerals, such as potassium, magnesium, calcium and iron in our soils, have fallen by almost 50 per cent over the past 50 years,’ says Patrick Holford, founder of the Institute for Optimum Nutrition. In their natural state, vegetable oils contain vitamin E, but most processed cooking oils contain none. Apples can be stored for five months or more before they reach the supermarket, meaning that levels of vitamin C can drop to almost zero. There is no question that supplements work,’ argues Mr Holford ‘Hundreds of studies have been published in wellrespected scientific journals showing that vitamins can prevent a range of illnesses. So why did the Oxford trial show supplements have no effect? It’s not unknown for scientific trials to give contradictory results. Their outcomes derive from what symptoms researchers record and the types of measurement they take. One study might assess heart attack risk by measuring total cholesterol levels; another may measure the actual incidence of heart attack. Different doses of vitamins are given, too – in the Oxford study, Vitamin C doses of 250 milligrams were given. In other studies that have shown a therapeutic effect for Vitamin C, doses have been much higher – at around 1,000mg. The quality of vitamins used is also vital. ‘The vitamins used in this study were synthetic and many synthetic versions are not as powerful as their organic counterparts,’ says Dr Annette Hudson, a physiologist and adviser to leading supplement companies. If you aren’t sure if you have a deficiency and have been taking multivitamins anyway, please consult a physician who can order lab work and determine exactly what, if any, gaps in nutrition you may have.